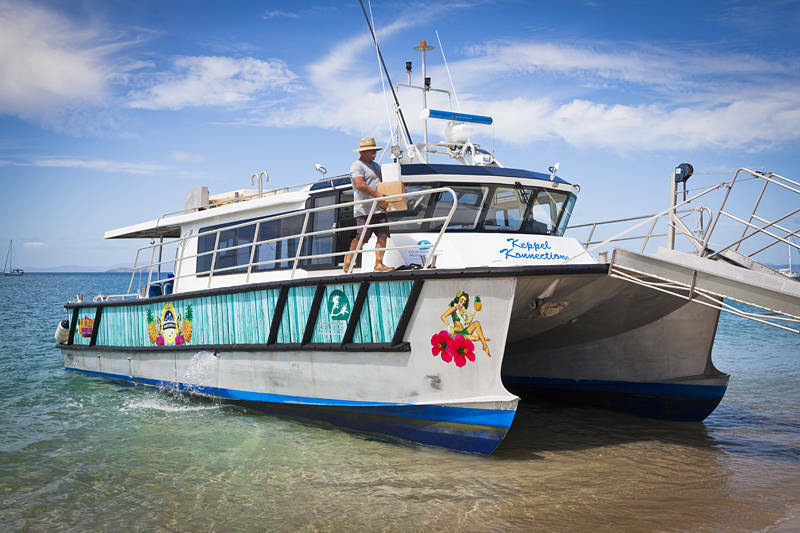 This is the ferry we took to Keppel Island recently. It is a new service which started a few months ago. Last year we took the more expensive Freedom Fast Cats which had a monopoly at the time. Either way at around $50 return it is the cheapest way we know of to see the Great Barrier Reef. The bloke with the boxes is Geoff Mercer who was our host at the GKI Holiday Village. He then became our boss when we decided to spend an extra week on the island working for our accommodation.